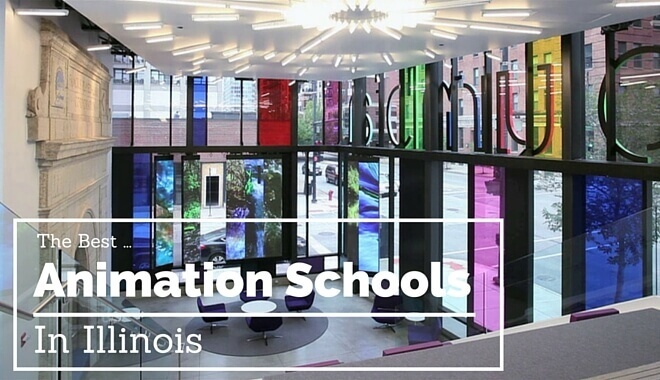 With the Art Institute of Chicago being the focal point of Illinois’ artistic and cultural peak, it’s no surprise that the state draws students from all over the world to study art. You’ll find some of the country’s most prestigious public relations and advertising firms there, a thriving artistic community and the attractive benefit of significantly lower costs of living than in some of the country’s other artistic epicenters, such as New York and Los Angeles. You have many choices when it comes to art and animation education that have been officially recognized by the National Association of Schools of Art and Design. In addition to degree programs, there are many places that offer non-degree, certificate or continuing education courses in the genre as well. The immersive Bachelor of Fine Arts in 3D Modeling and Animation program will take you on a comprehensive educational journey in many ways. Combining traditional art skills along with 3D instruction provides a well-rounded base in the field that will give you the competitive skills needed to excel in the field. You will explore many topics including motion study, digital video and sound, lighting effects and camera angles and how they apply themselves in the 3D world. The program’s emphasis is to prepare students for careers in the field with emphasis on a team environment for projects and to ensure the student animator can successfully create and direct an animated scene that meets industry standards. Bradley University offers a diverse list of majors and minors for those pursuing a degree in Animation, Game Design or Interactive Media. They also offer a minor in Game Design as well as a choice of Interactive Media that coincides with those pursuing a degree in Computer Science or Computer Information Systems. You may choose from highly focused academic paths such at the Animation major, Web and Application Design or Game Design. The tech heavy Game Design major not only will prepare you for a career in game design and interactive media development, it has been highly ranked by the Princeton Review as a leader in the US for Game Design majors. The Animation major is also a highly ranked program that can lead to lucrative careers in the animation design field. If you choose this 30 credit hour certificate program, you will take a strong core group of classes designed to give you the education for an entry level position in the digital and multimedia design field. You will explore graphic design, drawing, computer art, multimedia design, 2D animation, 3D modeling and Portfolio Development in this intense certificate program. The Bachelor of Art in Cinema and Science is all about bringing your animation skills to the big screen. The core premise of the program is to prepare students for work in a multitude of production sets around the world. Focus is placed on film production, directing, animation, screenwriting, documentary, editing and other core principles in the industry. When pursuing the Bachelor of Fine Art in Computer Animation, your focus will shift to a team project approach that will teach you how to create animated films using motion capture, CG modeling, hand-key animation and cinema visual effects. You’ll see how animation has completely transformed the cinematic industry, television and the world of interactive gaming. For a more traditional approach, the Bachelor of Fine Art in Traditional Animation will bring you to the roots of animation in educational theory. You’ll learn how to hand-create images and delve into stop-motion techniques. You will create innovative and original team based projects and a solo animated film. There are elective coursework options that are compelling including preproduction art, vector-based online animation and motion graphics. If you are pursuing a like-minded degree and wish to add an animation component to your curriculum, the Animation Minor is the perfect choice to round out your degree. You’ll experience three core animation courses that will supplement your degree and enhance your qualifications for the field. Are you considering creating original works of animation as your main career goal? 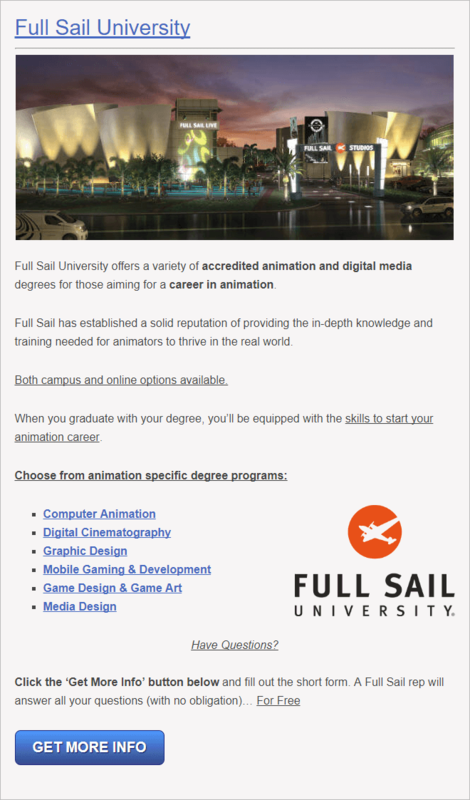 If so, then the Master of Fine Arts in Animation degree program is a great choice to pursue. This highly focused and intense training will educate you in everything related to success for animation artists. Focus is placed on critical artistic issues, history and fundamental principles that all animation specialists will need in their career. Using a cohort model, as a student you will work with your academic peers throughout the program. Your film production results will be regularly critiqued by the faculty in order to further refine and perfect your work. Many individuals who chose this degree teach in the animation field as well. The College of DuPage offers you an opportunity to study for an Associate in Applied Science in Animation. When looking for entry-level employment or to transfer into this high demand industry, this degree is a great place to start. You will learn the fundamentals of animation, motion control, story development lighting, sound and more. A unique certificate program allows you to pursue a certificate in Motion Picture, Television and Animation. If you are interested in working in the advertising, public relations, education or government industries, this certificate can prepare you for employment in these areas. You will learn a hands-on approach to animation fundamentals and techniques throughout the program. Earning your Bachelor of Fine Arts in Computer Game and Entertainment Technology at Elmhurst College will prepare you for an exciting career in the steadily growing gaming industry. As games and technology improve, learning the cutting edge animation techniques with the latest software available is crucial for career success. This program will prepare you for work in the digital entertainment field. Required courses for this four year degree are comprehensive and diverse. Featured among the classes are courses in computer graphics, animation and simulation, interactive digital media, web based entertainment systems, computer game and entertainment project development and even artificial intelligence. Majoring in Digital Media at Greenville College gives you the opportunity to pursue one of several tracks to find tune your degree with your career interests in mind. Choose a track from Game Design and Development, Film, Graphic Design, Recording or Internet Development. You will become a part of the constantly changing world of digital media that is being shaped by the advance of technology. Work with the latest in software development techniques and earn a valuable degree that will take you places in the industry. You will learn to cultivate and advance your skills for analytic and critical thinking. Also, you’ll learn crucial skills for working as a team on complex projects that involve digital media and graphic design. To earn your Bachelor of Science in Animation Technology at the International Academy of Design and Technology, you will explore a wide array of industry-standard classes that will prepare you for a career in the field. The courses are taught by faculty who are specialists in the animation field and many of whom are professionals already practicing in the field. You will learn animation techniques from many different areas of the genre including 2D and 3D animation and advanced 3D concepts such as modeling and lighting. Motion graphics, cinematography, scripting and animation capstone are just a small part of the course layout you’ll experience in the program. At Joliet College, you will have the opportunity to explore a unique approach to the 2D and 3D environment as well as animation techniques. When studying to earn an Associate in Applied Science in Computer Aided Design and Drafting, you will experience such courses as Solid Modeling using CREO, SolidWorks and Inventor, Animation with 3D Studio Max as well as other industry pertinent standards. In the engineering and architectural firms using this advanced technology, it is crucial for those wishing to enter the field to train with the latest industry-standard software and learn the latest techniques. With the field requiring strong graphic arts training and internet application knowledge, this program will give you the tools you need. To pursue your Associate of Applied Science in Digital Media, you will explore an interactive curriculum that will prepare you to create animations, work with video game leveling and the creation of interactive web content. The program utilizes both PC and Macintosh platforms so you won’t be restricted to just one environment. If you would rather pursue a certificate track, you have two choices. The Game Development Certificate is a great choice if you would like to pursue entry level work in the game testing field. With the Animation Certificate, you would be prepared with entry level knowledge of 2D animation and 3D modeling. If seeking a position in the highly skilled computer graphics field, you will need to train with a diverse curriculum designed to give you all of the tools necessary to compete. With the Associate of Applied Science in Computer Graphics Imagery, you will learn essential skills such as 2D and 3D computer animation, computer modeling, photo-realistic renderings and more. A core class structure includes a wide range of classes within the genre. You will take courses in game design, 3D modeling, design visualization, parametric modeling, computer storyboarding and physics simulation among the core requirements. This is a well-rounded course structure to assist you in obtaining employment in the computer graphics field. North Central College provides you with an opportunity to customize your Interactive Media Studies Bachelor of Arts degree depending on which track you wish to pursue. With a strong list of core classes that get you started such as visual literacy, image processing, designing graphics and more, you will then branch out to the track you’ve envisioned for your education. The Graphics track involves highly structured courses such as digital photography, 2D and 3D computer graphics animation, 3D design and typography. The Interactive Media Technology track includes training in web programming with Flash, computer science, video and audio editing, windows game programming, computer graphics and more. The Convergent track is a deeply immersive and detailed track with a combination of genres that ensure complete diversification of your education. Explore mass media, TV, film and creative writing, multimedia presentations, introduction to film, magazine writing, media and rhetorical criticism and more.